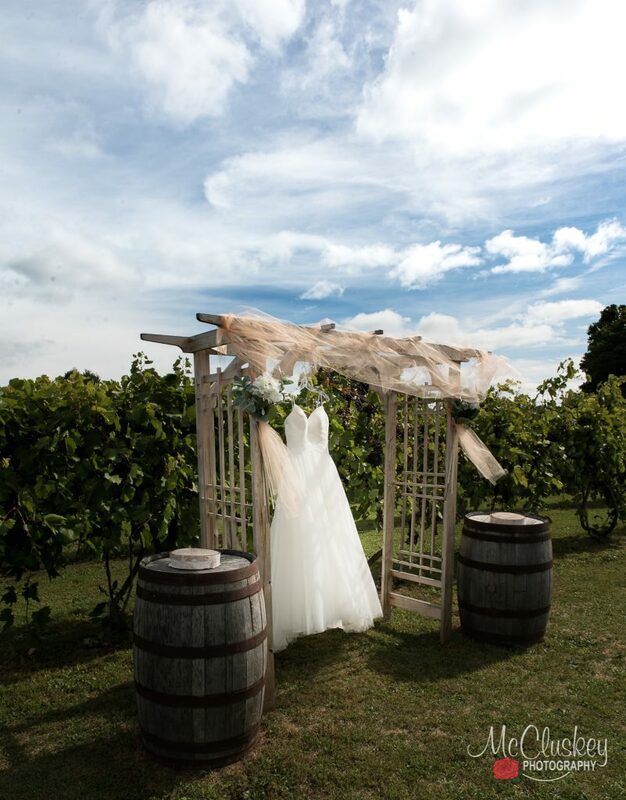 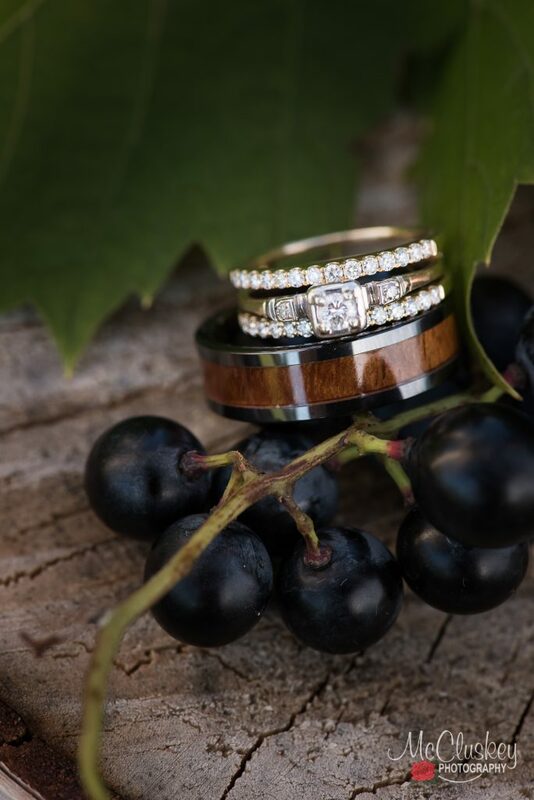 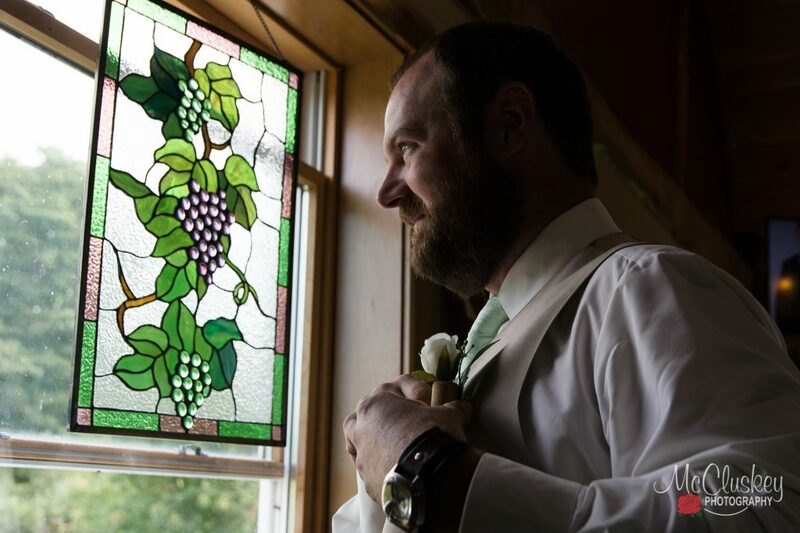 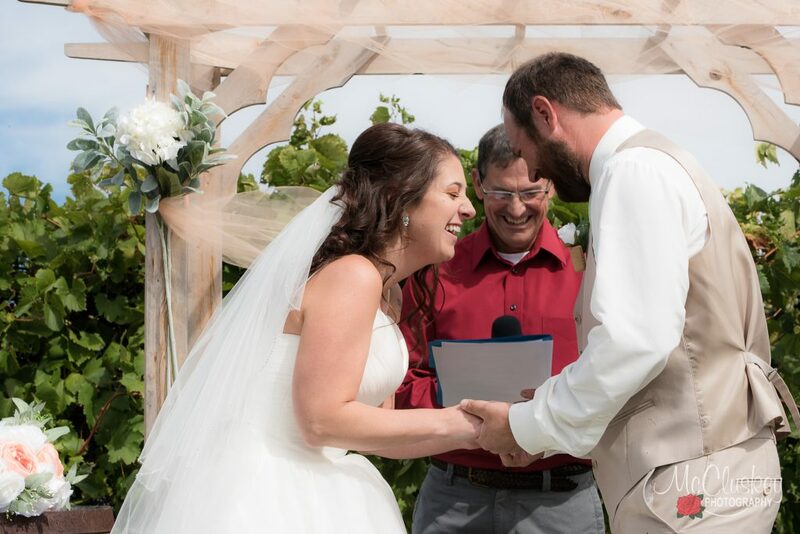 Bella Brooke Vineyard in Hammond, NY is one of my favorite local wedding venues. 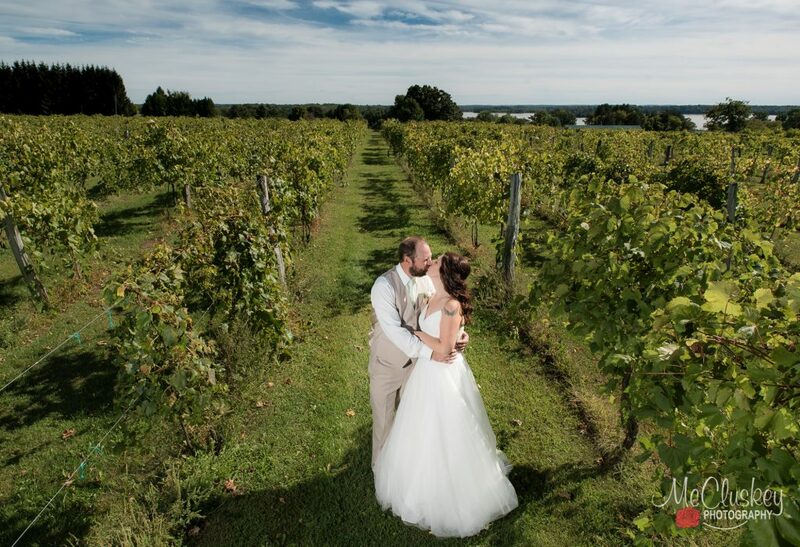 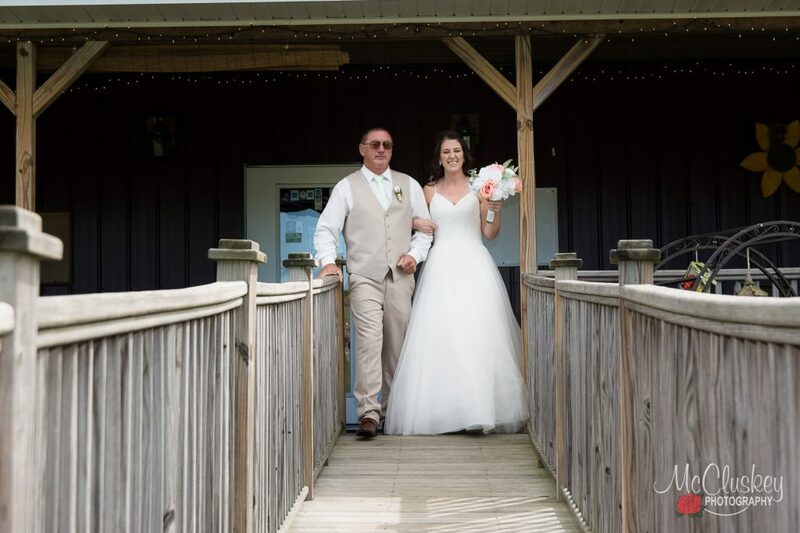 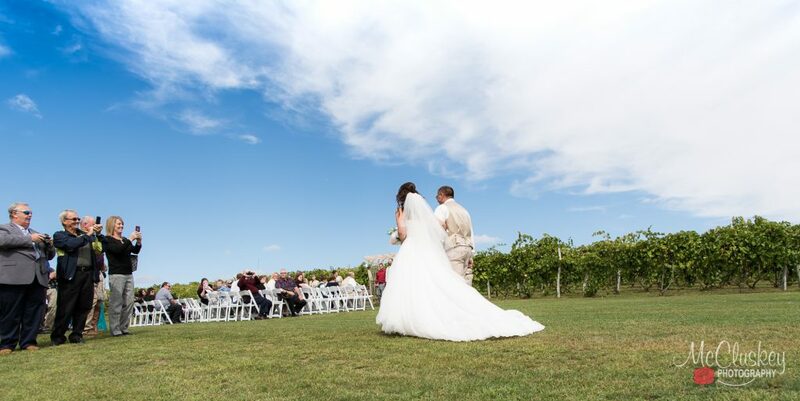 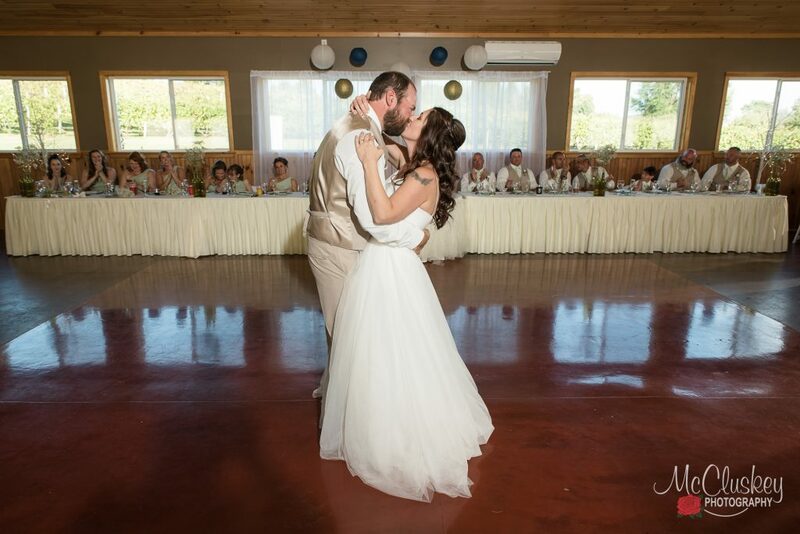 The winery has beautiful scenery as well as great staff and a beautiful new indoor reception hall. 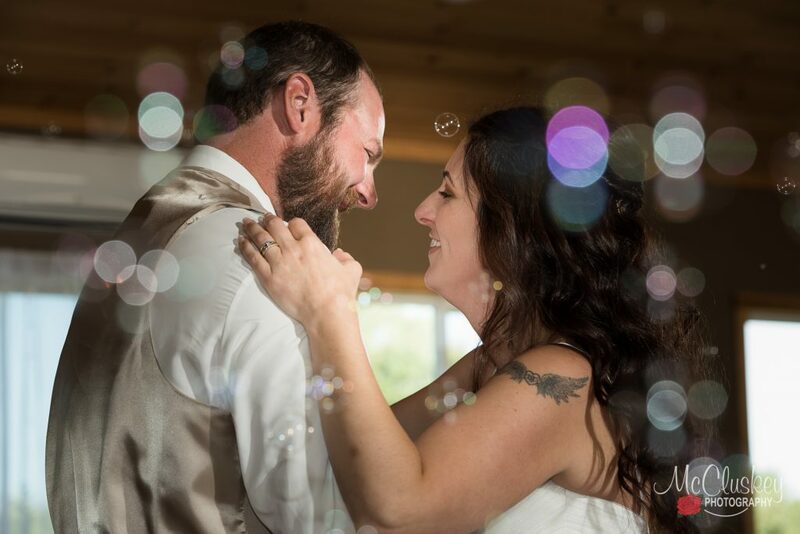 I really enjoy being one of the wedding photographers who gets to work with the staff at Bella Brooke on a regular basis. 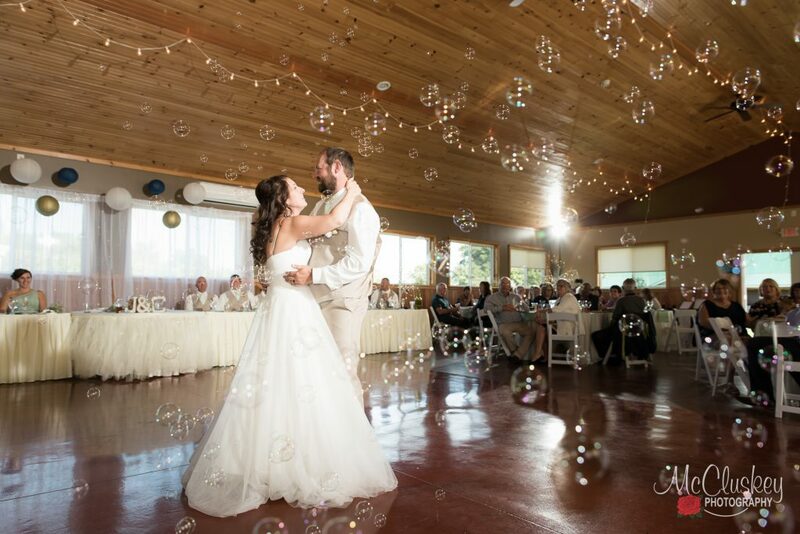 Jess and Curtis's wedding day proved perfectly how beautiful of a wedding venue it is. 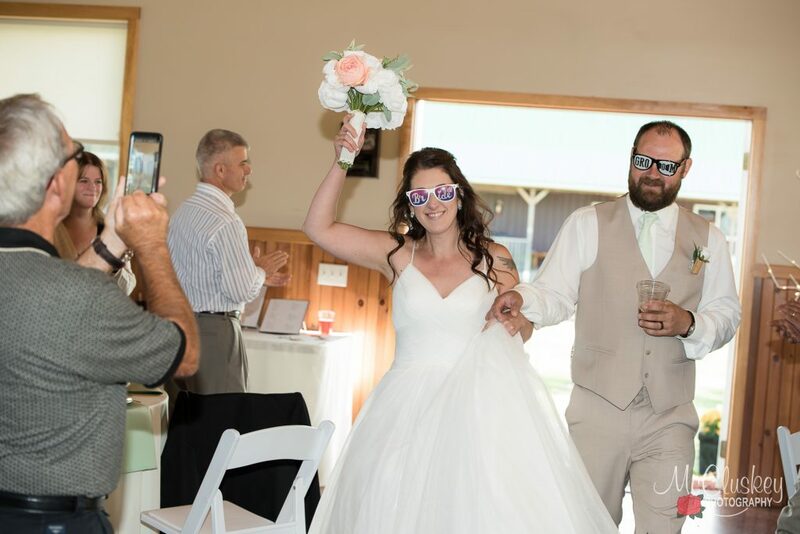 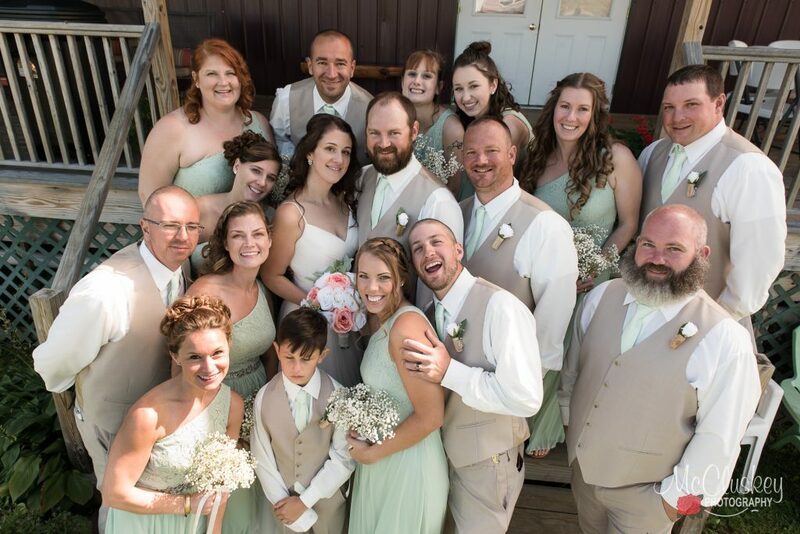 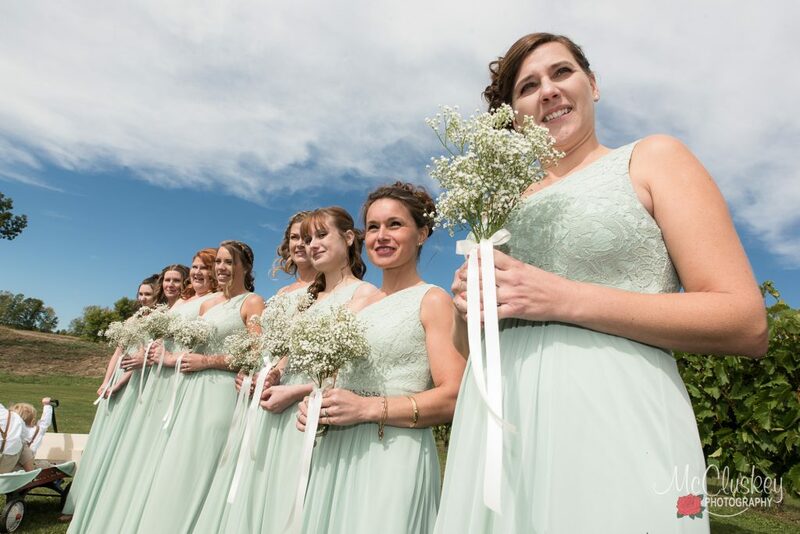 They had perfect blue skies with white fluffy clouds, and it was just cool enough for their late September wedding to keep their guests from getting too hot in the sun. 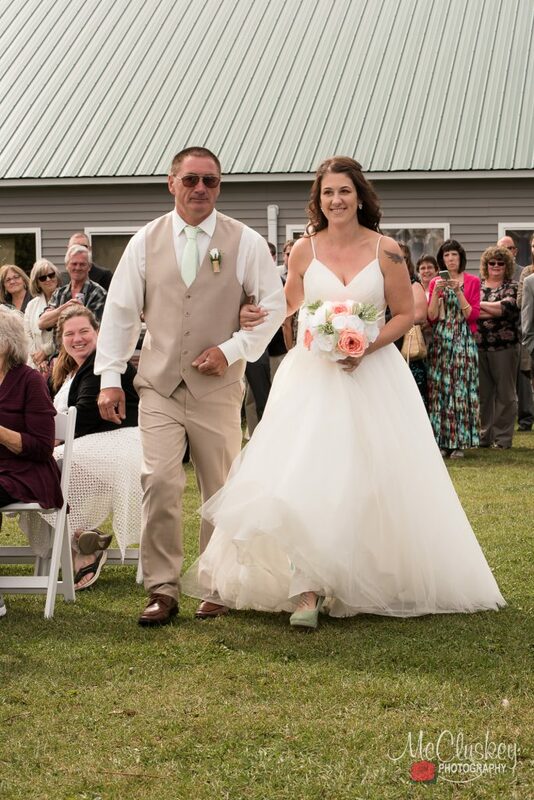 I thought the greatest story of this beautiful wedding was about Jess and Curtis as parents. 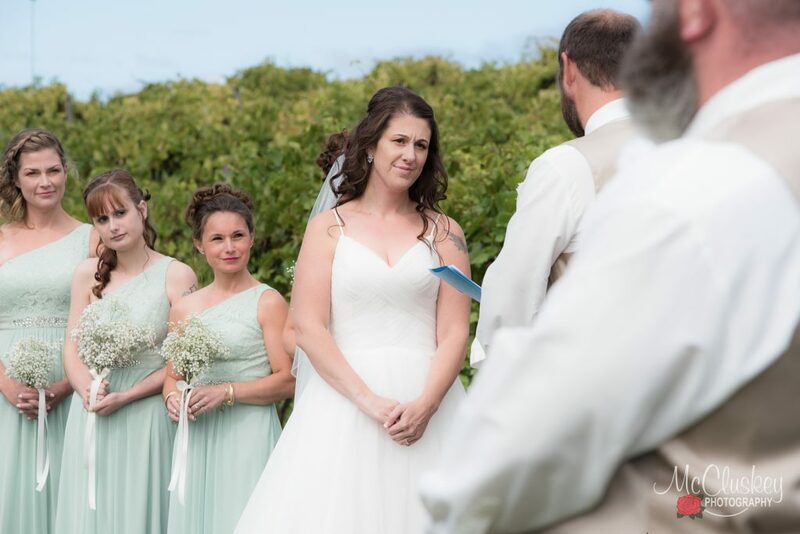 They are both wonderful parents to their children, and made sure to have a wedding that was welcome to all the extended family. 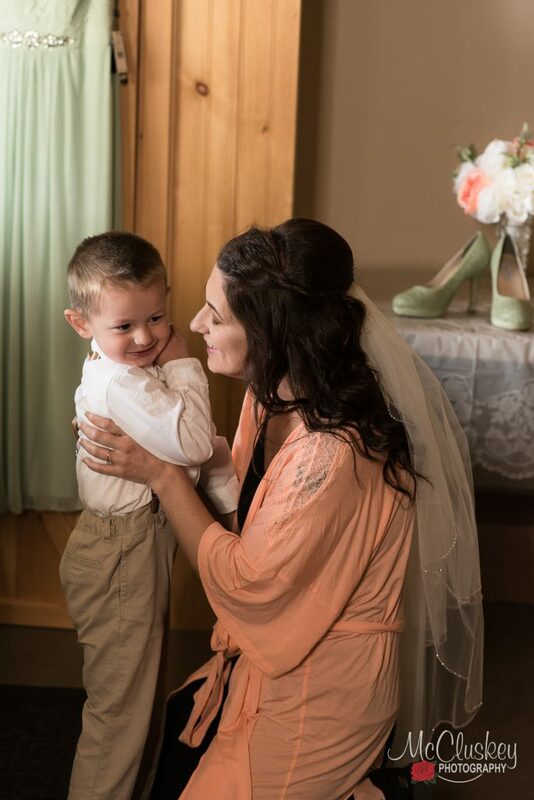 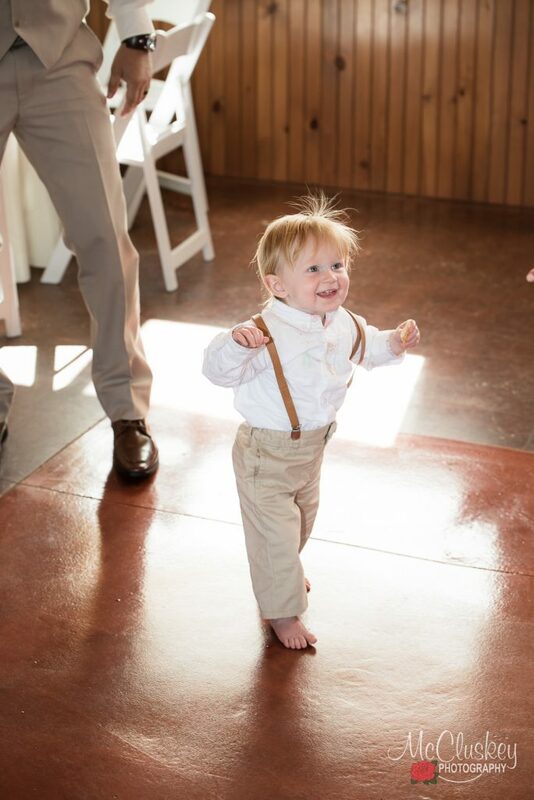 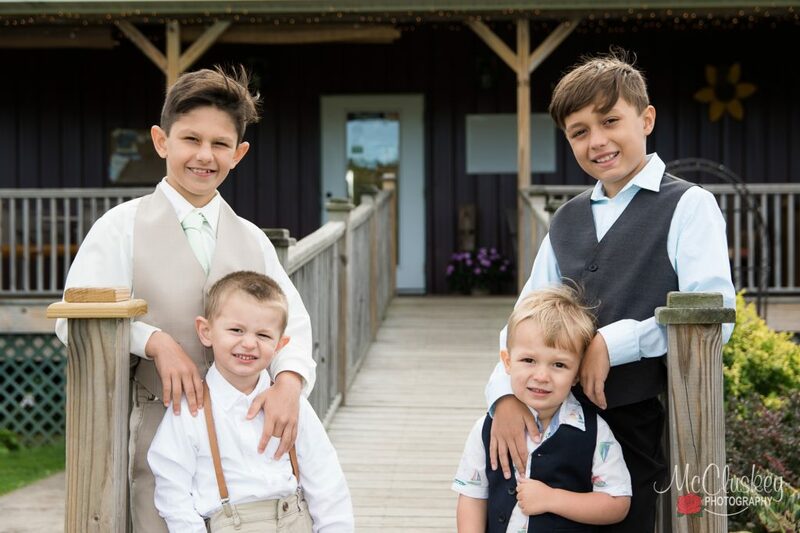 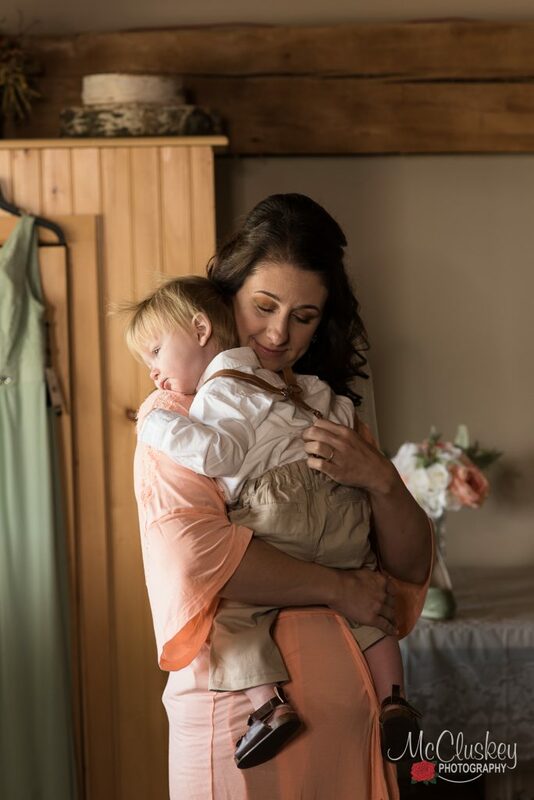 I think children bring so much joy and happiness to a wedding. 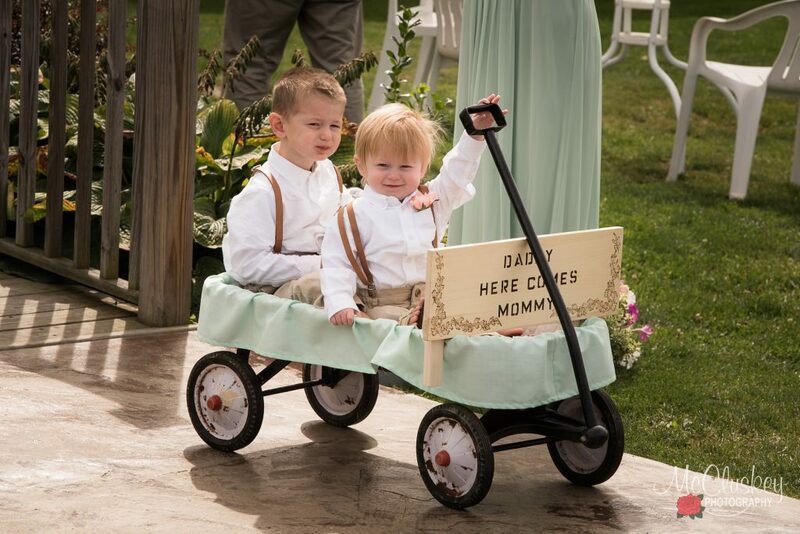 Jess's idea of using a wagon for her two youngest boys was a big hit. 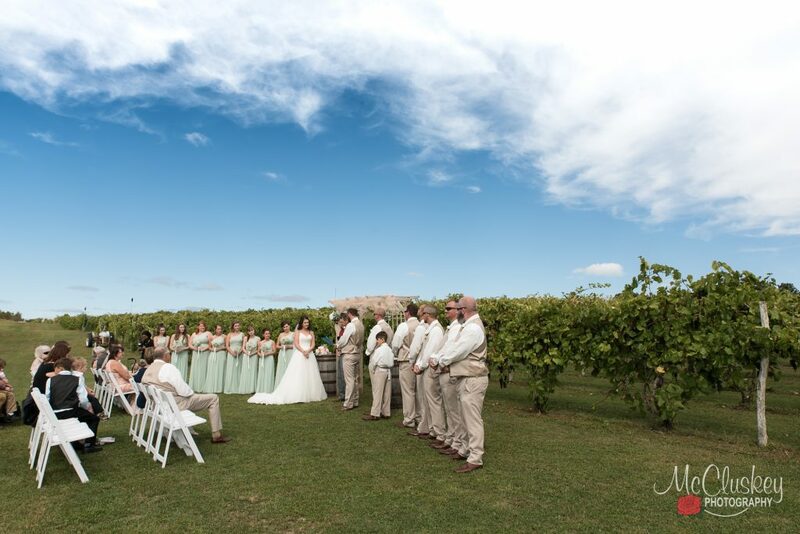 Jess and Curtis had a fun large wedding party, so we got a little creative with the wedding party photographs before heading up into the vineyard for some amazing scenery photographs for the couple. 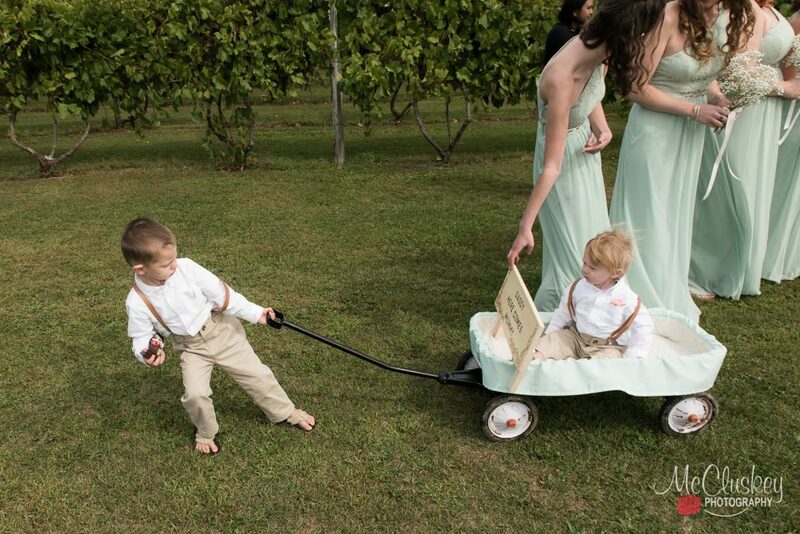 Then we headed back downhill to the reception. 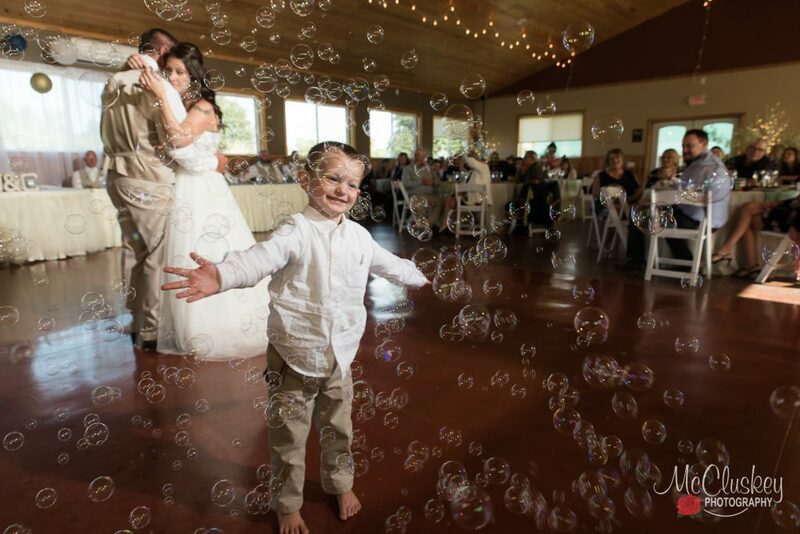 Which was particularly fun since DJ Beats had brought his bubble machine, and Fobare's BBQ provided some excellent pulled pork, smoked turkey, brisket, and all the sides.